Ever since I have been a wee Laddie I have been wanting to try a Highland Park dram. I had put it off till now since I was going to compare the drams to the New Make spirit made by Highland Park. Thanks to Steve Prentice of somersetwhisky.com the Highland Park new make is now on it’s way. 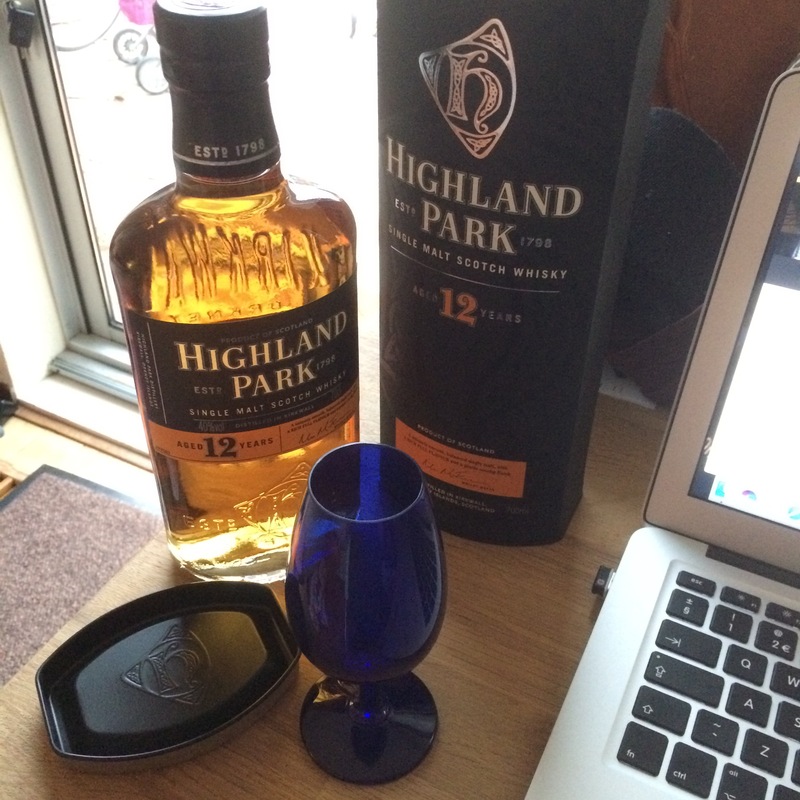 I have also been send a generous gift of Highland Park Fire Edition. I had asked Highland Park if they could tell me which kind of casks they used for maturing their drams. Gemma Kirk was kind enough to supply some excellent insight. Thank you Gemma. I’m trying to find out the influences of oak wood for a blog I’m writing. I’m looking for one spirit (product of one manufacturer) in new make form, sherry cask American oak matured, ex bourbon cask matured and preferably also new American oak matured. Goal is to see how one spirit is affected by these sources of American oak. I know you sell new make. Which other drams would be useful for this small comparison of mine coming from your line? So with this goal in mind I have my first wee taste of the 12 yo. so more soon as I compare this 12 yo to the New Make and to the Fire Edition.